Fads and fashions in economic policy come and go; they invariably reflect the self-interest of those who propound them, and since the “haves” tend to have louder voices and more influence than the “have nots”, it is often the interests of the former that prevail when economic policy is formulated. A couple of relatively recent examples will show what I mean. 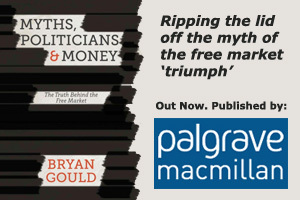 When the Global Financial Crisis struck, the response decided upon in many countries (and the UK in particular) was to tighten belts and slam on the brakes – such policies became known as “austerity”. The theory was, presumably, that governments had to steady the ship, and that they could not afford to go on spending when there was so much uncertainty. But austerity, as a response to what threatened to be the worst recession for decades, was the very worst step that could have been taken. The great economist, John Maynard Keynes, had shown in the Great Depression that the only cure was to spend more, not less – that a depression or recession occurred because there was not enough demand (or, in other words, spending power) and that the proper remedy was to inject more money into an economy that was about to close up shop altogether. The lessons learnt in the 1930s counted for little, however, when faced with the prejudices of those who decide these matters. For the holders of assets, there were two drivers – they wanted the value of those assets maintained, and they wanted to be sure that if anyone had to pay a price to put things right, it would not be them. As a result, governments found large sums of money (usually by printing it – the polite term was “qualitative easing”) but they used that money not to boost economic activity, but to shore up the banks, with the result that the value of financial assets was boosted. At the same time, they cut spending; the spending cuts bore heavily on the poor, weakening the public services on which they depended, such as health and education and housing, and holding wages and benefits down. Another example was the fashionable theory that, as the rich grew richer, their good fortune would “trickle down” to make everyone better off. The theory was used to justify tax cuts for the rich and other policy initiatives designed to boost profits, and to allay concerns about the growing gap, in both wealth and income terms, between rich and poor. Sadly, the theory was revealed to be no more than wishful thinking. The growing riches of the haves did not “trickle down” but were hoarded or used to buy income-producing capital assets (which had the effect of widening the income gap still further) or spent on various forms of conspicuous consumption. The other side of the same coin has been the refusal to recognise that the economy is likely to benefit much more from an increase in the purchasing power of the poor than of the rich. Every extra dollar for the low-paid (as for the recent increase in the wages of hospital cleaners) will be spent and will lift the volume of sales, thereby benefiting profits. The conventional wisdom, however, not only ignores the social benefits of lifting people out of poverty, but also chooses to see higher wages as simply an increased cost and therefore to be resisted. We need look no further for an explanation of the paradox that business confidence remains low although the economy is doing well. There must be a suspicion that, sadly, for some people it is staying ahead that matters – maintaining their advantage over others is more important than simply doing well themselves. It is time we – the voters – recognised that self-serving fads and fashions – not to say prejudices -are not a workable basis for a sensible economic policy. Doing what is right in social terms will often be the best economic policy as well. Previous: What is the Point of Education? Next: Who Caused the Problems in the First Place?